Newport Beach-based company FlipTix just signed a deal to be the official re-sale partner at this year’s BUKU Music and Arts Project, which will enable festival-goers to “flip” their tickets during the event, allowing other fans to see the remainder of the show. 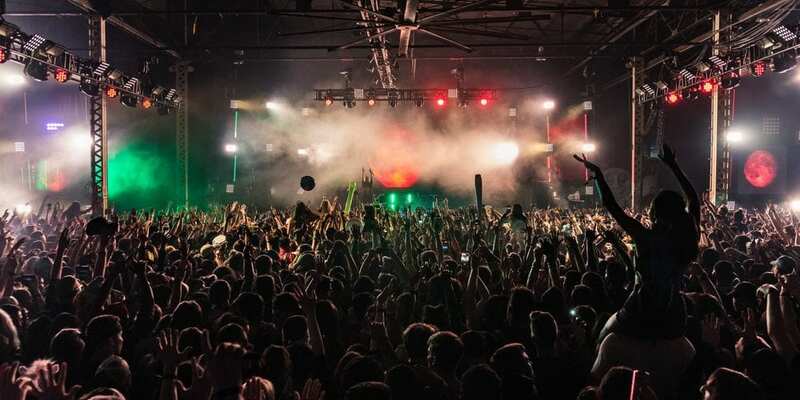 New Orleans’ BUKU Music and Arts Project is a two-day event set to take place on March 22 and 23. Throughout the festival, a diverse group of artists like Lana Del Rey, A$AP Rocky, Ella Mai, Playboi Carti, and Mayday Parade will take the stage, among others. According to a study conducted by FlipTix, an estimated 30 percent of eventgoers leave a show early, so FlipTix was created to allow people to buy or sell flipped tickets through a mobile app. When ticketholders want to leave an event, they just have to press “I’m gone” in the app to let fans outside the venue know that a ticket is available. Based on how much time is left in the event, a price will be set, giving both the ticket holder and promoter a revenue share. Before a wristband is transferred, FlipTix destroys the information connected to the original ticketbuyer and issues a new wristband to the new buyer. Then, the new buyer has the option to either pick up an activated wristband at a FlipTix location at the venue or get a digital ticket delivered straight to their phone. In an interview with Ticket News, FlipTix co-founder and CEO Jaime Siegel explained that before FlipTix, there was no legal way to sell or transfer your wristband or ticket once an event has already started. He said that from a security perspective, “everybody is behind the idea” of ticket flipping, since most fans don’t appreciate how much information is actually on a wristband. If they participate in an illegal transfer, they are potentially handing over personal information, but FlipTix prevents this. “Life happens. People want flexibility in life. What we bring to the market is the ability for fans to have flexibility,” Siegel said. He explained how concertgoers look at a festival lineup and sometimes only want to see a certain number of bands. With FlipTix, they can buy tickets to the festival knowing they’ll be able to flip it and get something back in return. In 2018, FlipTix launched at Kaaboo-Del Mar Festival as a way to introduce their company to music festivals. Then, they partnered with Stage Left Entertainment, which will host the two-day Dirty Heads fest in May and a new festival in Charlotte this October. While festivals have a higher flip rate than a typical concert, the company is in discussions with various venues. This year, FlipTix hopes to emerge themselves in the sports scene within urban districts. Additionally, the company is working toward giving rewards to customers through their app. Siegel said he anticipates the rewards will be awarded through credits or ride sharing systems, but will always be relevant to where the buyer is at that given moment. Siegel described FlipTix as a similar entity that was designed to take on the peer-to-peer file sharing Internet service Napster in the early 2000’s. He noted that his company is providing a “legal and reasonable pathway” to reselling tickets where they never sell a ticket for more than face value. Within the next two months, FlipTix will reveal some big announcements as momentum is happening with “very big players.” To learn more about FlipTix, visit their website.